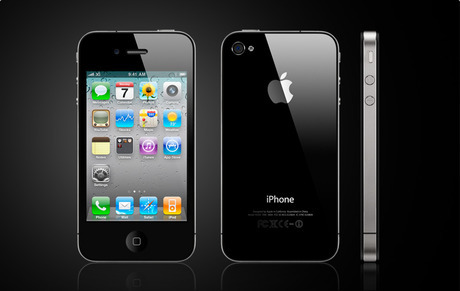 Orange and O2 today announced their pricing plans for the new iPhone 4. 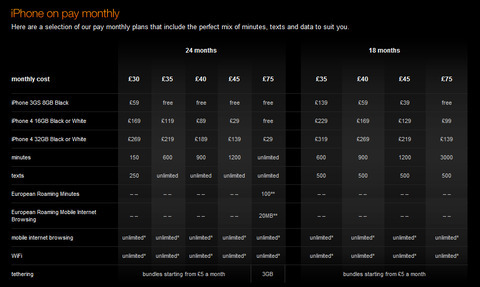 The cheapest deal on Orange is £30 a month for two years plus a £169 down payment. That gets you 300 minutes of talk time and 750mb of data. At their cheapest deal, O2 are offering a £25 a month two year deal with a £279 down payment. But that only offers 100 minutes and only 500mb of data. From October O2 will let you add data bolt-ons – £5 a month for another 500mb. 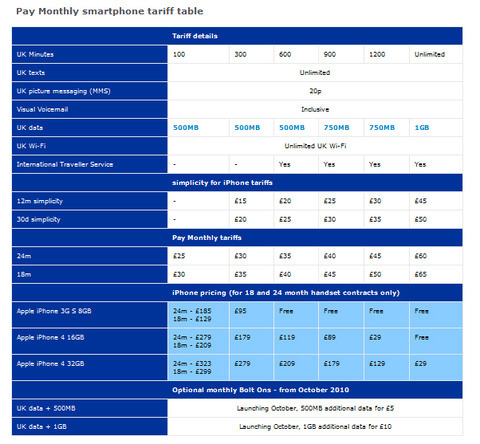 See the Orange deals here and the O2 deals here Full details in the tariff tables below. I’m not wowed by either of offerings. They look good at the top end of the range where £75 a month gets you anything you ever wanted and the phone for free. For the price-conscious iPhone 4 customer things are a little tighter with the cheapest offers and looks like the the Orange £30 deal just works out as better value than the O2 £25. Though the O2 deal is ten pounds cheaper overall, you get significantly fewer minutes and less data for it. Watch out for O2’s pay as you go options too. Lol!!!!! I agree about that table, it’s awful! I’m a bit funny about my Excel spreadsheets. I used to hate them, but now I’m a geek for them, so when people do bad spreadsheets it really erks me! accede a http://www.iphoneorange.es. tiene todas las tarifas de orange para iphone en España. Great comparison – who would have thought that there was literally only 10 pounds between orange and o2, something many people probably wouldn’t think to compare.